The Fieldbus Foundation today announced the release of its H1 Interoperability Test Kit (ITK) 6.1.0. This powerful tool tests the functionality of an H1 (31.25 kbit/s) fieldbus device and its conformity with the FOUNDATION function block and transducer block specifications. Version 6.1.0 includes new features to enhance device intelligence, improve consistency in instrument configuration, and simplify replacement of field devices from different automation suppliers. The H1 ITK consists of a test engine, communication stack and function block interface card. An excellent tool for troubleshooting and debugging FOUNDATION fieldbus instruments, it includes all hardware and software required to ensure complete device interoperability. By using the H1 ITK, suppliers can run tests identical to those used by the Fieldbus Foundation before submitting their product for registration. H1 ITK 6.1.0 builds on the extensive library of FOUNDATION fieldbus block test cases, offering a series of standardized function blocks and transducer blocks that enable increased test coverage for device developers. This includes test cases for new blocks that were previously unavailable, such as flow totalizer, analog alarm, control selector and output splitter, which support expanded device applications for control-in-the-field (CIF). A new flow transducer block is intended to simplify device integration within Foundation fieldbus networks. In addition, the release provides updated test cases for existing blocks, including flow, pressure, temperature, analog positioner, and discrete positioner. New H1 ITK test cases are focused on backwards compatibility among FOUNDATION fieldbus devices. This enhancement supports device replacement automation and enables the test kit to verify consistent behavior between device and host implementations in fieldbus-based control systems. Automation of device replacement allows the configuration in an existing field device to be restored in a newer version of that instrument without manual intervention. This “plug and play” solution ensures features are consistent between different generations of devices without reengineering the host configuration or changing any other element of the H1 network other than the new instrument. The Fieldbus Foundation today announced plans to conduct a series of live field demonstrations showcasing its FOUNDATION for Remote Operations Management (ROM) technology. The first live demo of FOUNDATION for ROM is scheduled for April 30, 2013, at the Petrobras research and development facility (Cenpes) in Rio de Janeiro, Brazil. Petrobras company executives and automation industry media will attend the event. The first development of its kind integrating remote input/output (I/O), ISA 100.11a, WirelessHART®, wired HART, and H1 fieldbus protocols into a single standard data management environment, FOUNDATION for ROM extends the capabilities of FOUNDATION fieldbus to countless wired and wireless devices installed in some of the world’s harshest and most remote locations. FOUNDATION for ROM provides a unified digital infrastructure for asset management in applications ranging from tank farms and terminals to pipelines, offshore platforms, and even original equipment manufacturer (OEM) skids. Whether operating on a wired or wireless High Speed Ethernet (HSE) backhaul network, end users can pull device data into the FOUNDATION fieldbus infrastructure, which provides a single source of data management, diagnostics, alarms and alerts, data quality control, control-in-the-field capability, and object-oriented block structure. Petrobras is interested in specifying FOUNDATION for ROM technology for the ambitious projects it is undertaking in the upstream and downstream hydrocarbon industry. The company has a record-setting $224 billion capital spending plan through 2015, with most of the investments targeted at the upstream sector on the highly publicized Pre-Salt area of the Santos Basin. 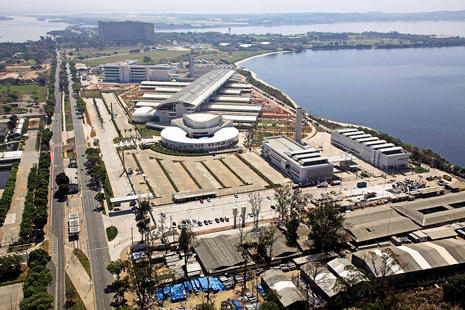 The Petrobras Centro de Pesquisas Leopoldo Américo Miguez de Mello, also known as Cenpes, is the largest oil and gas research center in the Southern Hemisphere. At the facility, a series of tests will be conducted with a FOUNDATION for ROM system installed on a distillation process pilot plant to evaluate the use of fieldbus-based ROM devices with wireless protocols for remote applications. Reliance Industries (India) has also agreed to host FOUNDATION for ROM field demonstrations and additional end user demonstrations in Japan, the Middle East and Europe are being planned. The Petrobras field demonstration will offer a look at the full functionality of FOUNDATION for ROM, including wireless device integration, remote I/O integration, and wireless backhaul capabilities. This demonstration is the first step to show the capabilities of FOUNDATION for ROM before it is specified for commercial projects. The ROM solution enables end users to diagnose, either locally or remotely, the condition of their automation assets and then optimize predictive and preventive maintenance strategies. While industrial organizations deal with shrinking operations and maintenance personnel and assets being deployed in remote locations, remote operations management is quickly becoming a critical application. Experience has shown that a comprehensive remote operations management solution enables manufacturers to respond faster to market conditions, increase efficiency, reduce downtime, and achieve higher production availability. Fieldbus Foundation supplier members sponsoring the FOUNDATION for ROM demonstrations include: APA Technologies, AUMA, Azbil, Beka Associates Ltd., Belden, Biffi, Buerkert Werke, Emerson Process Management, Endress+Hauser, Festo Brazil, Fuji Electric, Honeywell, Invensys Operations Management, Leoni-Kerpen, Magnetrol, MTL, Pepperl+Fuchs, Phoenix Contact, R. STAHL, Smar, StoneL, Turck, Westlock, and Yokogawa Electric Corporation. For more information, please visit the FOUNDATION for ROM page on the Fieldbus Foundation website or go to http://www.fieldbus.org. Fieldbus Foundation has created an electronic registration page through our partner Cvent for the General Assembly. If you’ve never been, the Fieldbus Foundation General Assembly is our big annual meeting, which culminates in a day long, free of charge end user seminar that highlights the user experience with FOUNDATION fieldbus and our future direction. The Fieldbus Foundation 2013 General Assembly will be held in Shanghai, China on March 14th at The Portman Ritz-Carlton Hotel, Shanghai. This free event is themed, “In a World of Choices, FOUNDATION Brings it all Together,” will include a comprehensive, end user-oriented agenda consisting of major end user case studies and tabletop exhibitions from major automation vendors across the globe, as well as updates on our latest progress with our new FOUNDATION for Remote Operations Management technology. The end user conference on March 14 will feature a keynote address by a prominent end user presenter, FOUNDATION technology updates, and presentations by key industry end users, followed by a networking reception. London, UK– 15 January, 2013 – The Fieldbus Foundation UK Marketing Committee (FFUKMC)has announced the first of its 2013 schedule of end user events – a FOUNDATIONTechnology Study Day to be held in London on Tuesday 26 February, 2013. With a morning session focused on an introduction to FOUNDATIONtechnology, a lunch break with tabletop displays and additional presentations, and an afternoon session offering a more advanced programme, delegates will be able to tailor the day to suit their own requirements. Delegates may choose to attend either the morning or afternoon session or they are welcome to attend both. There is no charge to attend and the lunch and lunchtime sessions are open to all delegates. Following registration and coffee, the morning session, from 10.00-12.00, will include an introduction to FOUNDATION technology and solutions, and an insight into the lifecycle economics of the system. The afternoon session, from 14.00-16.00, will present a more in-depth programme of presentations and practical workshops with a focus on supporting a FOUNDATION installation through asset management; device replacement; calibration and recommended maintenance practices. All registered attendees are invited to the complimentary lunch during which Fieldbus Foundation member companies will be available to discuss and demonstrate their Foundation products and services. Also available during the lunch break are update presentations on Foundationfor Remote Operations Management (F-ROM) and Foundationfor Safety Instrumented Functions (FF-SIF). The event will be held at the Emerson Process Management office, Accurist House, 44 Baker Street, London, W1U 7AL. Delegates are invited to register their names, company, email address and session preferences with the UK Committee, email: uk_info@fieldbus.org. Additional FOUNDATIONTechnology Study Days are scheduled to be held at locations in Aberdeen, Scotland, the Scottish and central belt and the north of England. The FFUKMC was formally established in 1999 to promote an increased awareness and adoption of FOUNDATION™technology throughout the United Kingdom and Ireland through a range of end user focused activities including technology seminars and roadshows, technical demonstrations and support, and trade show and conference participation. The FFUKMC membership now includes: ABB, Beamex, Beka Associates, Emerson Process Management, Endress+Hauser, Honeywell, MTL –Cooper Crouse-Hinds, Moore Industries, Pepperl+Fuchs, Rockwell Automation, Rotork, R.Stahl, Smar, Turck, Vega and Yokogawa. 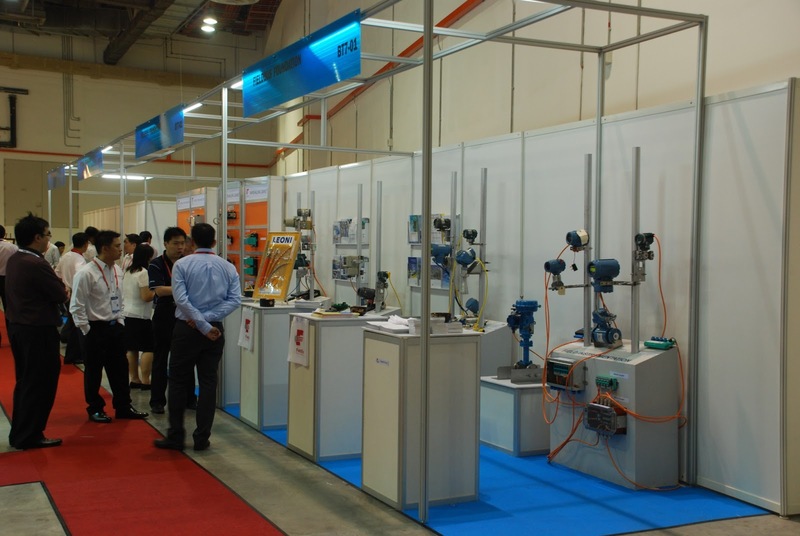 The Fieldbus Foundation participated in the OSEA2012 oil & gas industry exhibition in Singapore 27-30 November 2012. 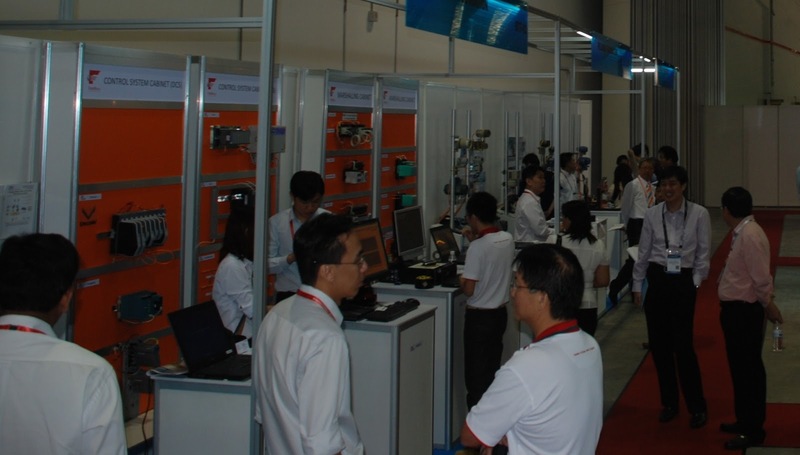 The large booth included all leading suppliers of FOUNDATION fieldbus process automation systems, field instrumentation, and fieldbus infrastructure. Offshore platforms, FPSO vessels, and onshore oil fields are long time users of FOUNDATION fieldbus. The success at these sites has seen FLNG vessels now adopting fieldbus as well. Downstream refining, LNG processing, and petrochemical plants are also major users of fieldbus, where the largest plants in the world use fieldbus. Visitors had a chance to see the latest improvements to the technology including ITK6 interoperability, NAMUR NE107 device diagnostic alarm management, graphical device user interfaces, and host profile interoperability registration etc. Systems, devices, and infrastructure from Azbil, EIM, Emerson, Fisher, Honeywell, Lapp, Leoni, Micro Motion, MooreHawke, MTL, Pepperl+Fuchs, Rosemount, SMAR, Stahl, Topworx, and Turck were demonstrated live in various configurations. A friend from Emerson Process Management forwarded me an excellent article from the June 2011 edition of Chemical Processing on how Shanghai SECCO refinery uses FOUNDATION fieldbus valves to obtain some significant savings. It’s a quick read and worth it! It is also timely since out General Assembly this year will be held in Shanghai, which is quite close to the SECCO plant, which is one of the world’s largest FOUNDATION fieldbus installations. Congratulations to Ian Verhappen for Making it into Automation Hall of Fame! Our friends over at ControlGlobal are famous for their Process Automation Hall of Fame. In Walt Boyes’ first post of the year in his “SoundOff” blog, he reveals the inductees into the 2013 Process Automation Hall of Fame. We at the Fieldbus Foundation are pleased to announce that our friend Ian Verhappen is one of those names. Ian has been a long time proponent of FOUNDATION fieldbus and has been a great evangelizer of the benefits of intelligent devices in general. 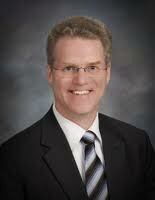 We congratulate Ian on his pending induction into the Process Automation Hall of Fame. Look for the full story in the February edition of Control magazine! You may also want to check out the great book on FOUNDATION fieldbus co-authored by Ian Verhappen and Augusto Pereira available thorugh ISA!